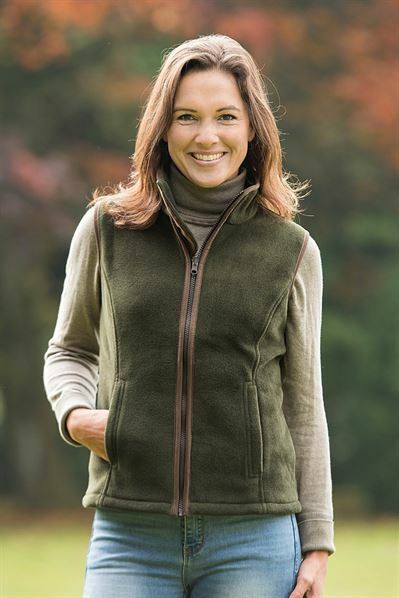 Baleno Sally women's fleece gilet is a flattering ,feminie fit superior quality fleece waistcoat in thermally efficient, anti-pill fleece. It is trimmed with smart alcantara faux leather. Perfect for any wardrobe its highly versatile, and looks great teamded with jeans or breeches, is perfect for casual days, but smart enough for meeting friends. 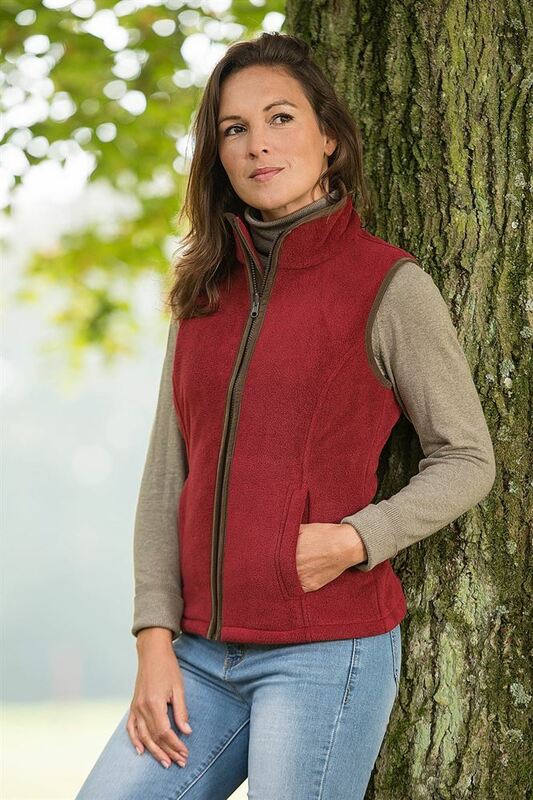 Light and comfortable, whilst effectively trapping warm air in its fibre pile, the gilet is easy to wear and a practical answer to cool weather. We can embroider this garment with a stock design from our list or company , club logo .Please contact us if you wish to discuss your logo. 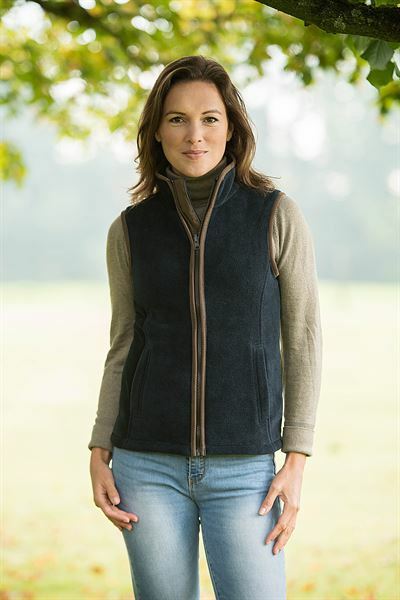 We do feel in our office that Baleno sizing does come up small so normally we recommend choosing a size larger than normal.